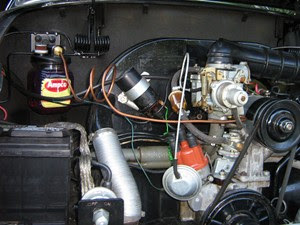 Modern gasoline is not doing the aircooled VW engine any good! The aircooled VW engine is a classic engineering marvel – simple, robust, understressed – but it does run hot, especially in hot climates. In type I and II engines, the #3 cylinder tends to suffer most. If there is a failure, it is usually a burned exhaust valve in #3. 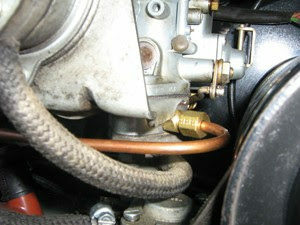 Lead in gasoline acted as a lubricant between valves and valve seats. Modern unleaded gas/ethanol blends are very dry, with virtually no lubricating properties. Exhaust valve seat recession can result, a condition where valve and seat materials adhere to and erode each other, with the valve migrating up into the head. As this occurs, valve stem to rocker tip clearance is reduced. If this clearance reduces to zero, the valve no longer closes, resulting in a burned valve. This means compression and power loss, and ultimately a valve job and head replacement. 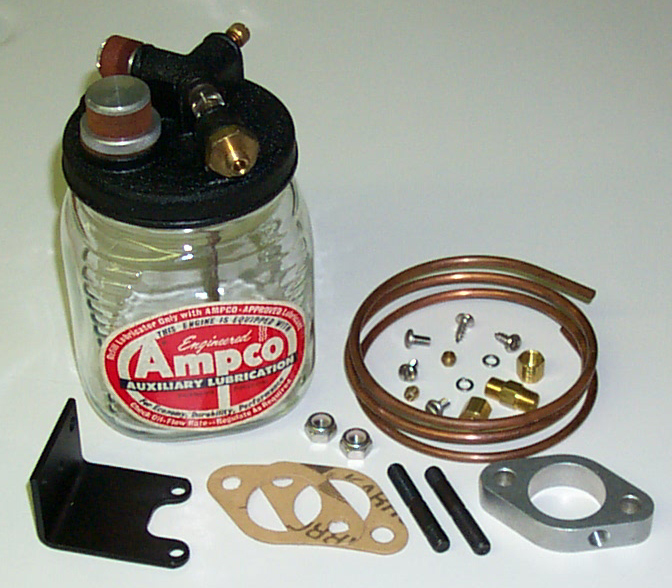 The Ampco VW kit is supplied with a carb sandwich plate which accepts the oiler nozzle, along with new gaskets, longer carb studs, and nuts. Installation takes about one hour. Recommended lubricant is Marvel Mystery Oil®. Please refer to the Products page for pricing information.